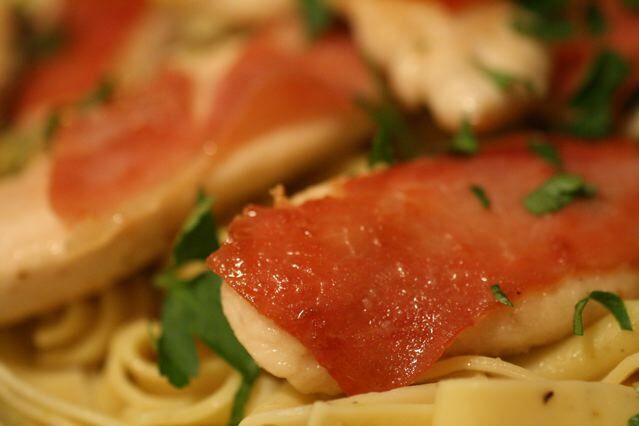 Saltimbocca (also saltinbocca) (Italian: jumps in the mouth) is a dish (popular in southern Switzerland, Italy, Spain and Greece) made of veal, chicken or pork, lined or topped with prosciutto and sage; marinated in wine, oil or saltwater depending on the region or one's own taste. This dish is also occasionally topped with capers depending on individual taste. 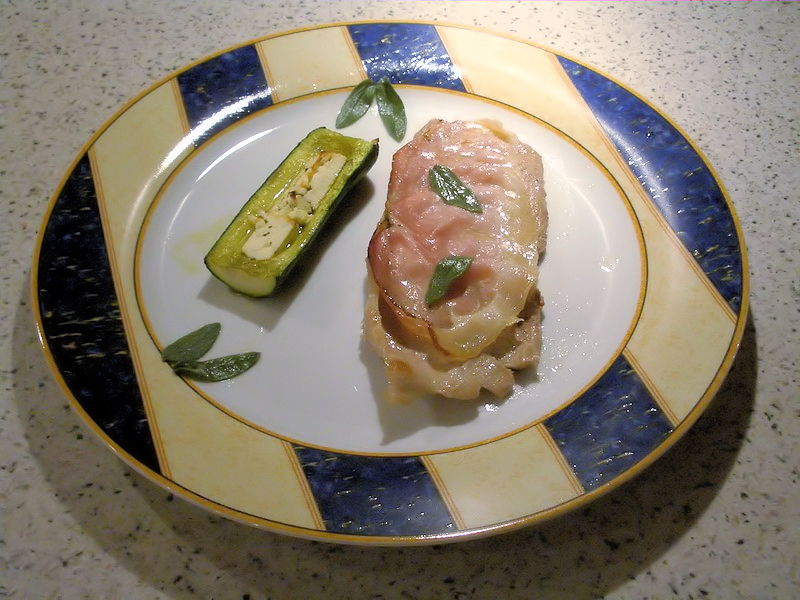 The most notable version of this dish is saltimbocca alla Romana (saltimbocca, Roman-style) which consists of veal, prosciutto or ham, and sage, rolled-up and cooked in Marsala and butter.